Home » Frequently Asked Questions » What to Do at the Scene of an Accident? The likelihood of being involved in a car accident is high. A car accident can be a scary experience, but try to stay as calm as possible. If you let your emotions overcome you, it can be difficult to perform all actions necessary to protect yourself and your right to file an injury claim. If you are involved in an accident, you must stop. Check whether any involved parties are injured. CAUTION: If someone is injured, do not move that person unless it is necessary. You could further injure the person in your attempts to help. Instead, call 9-1-1 to dispatch emergency medical care to the scene. Consider receiving medical care of your own at the scene. While you can go to your doctor or an emergency room later, early intervention is always best. It can help get you the treatment you need if you suffered a serious injury that you are unaware of, and it also helps create a link between the accident and your injuries. If you are injured, avoid moving around as much as possible. Sit in your car and wait for the EMTs to show up. You should call 9-1-1 even if you believe you are uninjured. Doing so will help prove there was in fact an accident if the other side later denies it. Move your vehicle off the road as soon as possible, to avoid further injury to yourself or others. If you are unable to move a disabled vehicle, phone a tow truck as soon as possible. Make sure your hazards are on. If you cannot move your car, stay inside it and keep your seat belt on. It is a good idea to keep flares, cones, or other emergency-related signaling devices in your vehicle. While it might be second nature to apologize after an accident, avoid it at all costs. The other driver or his insurer can use your apology to claim you admitted to causing the accident. You should also avoid saying that you are okay. The other driver can use this statement to claim that you admitted to being uninjured at the scene. This can make it difficult to tie your injuries to the accident. Instead, tell the other driver that you are unsure and that it might be best to call an ambulance. If possible, take photographs of the scene from multiple angles. Be sure to take photos of the surrounding area as well. This can be helpful if the accident resulted from a road hazard instead of another driver’s negligence. Note: In seemingly minor accidents, at-fault drivers may want to approach your vehicle and try to buff out scratches themselves to demonstrate a lack of damage. Do not let anyone other than a first responder or an insurance adjuster touch your vehicle following a crash. Collect the names, phone numbers, and addresses of any witnesses who may have witnessed the accident. Be sure to note the location, time of day, type of accident, and the weather at the time of the incident. You can (and should) be polite and cooperative without making incriminating statements. If the officer asks you what happened, be honest; however, keep your information vague. Do not offer any information the officer does not ask for. Ask the officer when the report will be available, and whether you can pick it up somewhere or access it through an online portal. If officers do not provide a legible document at the scene, collect their names and badge numbers. Even if the police do not come to the scene, you can go to the nearest police department to file an incident report. 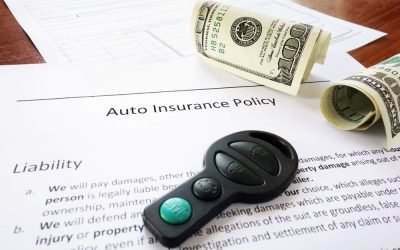 Having the police report will help with the insurance claim process. You will need to furnish information such as your name, address, vehicle registration, and insurance information. You may also need to provide a telephone number. If you are able, record as many details of the accident as you can observe by writing or dictating them to a smartphone recording device. Be mindful, however, that anything that you record or write can be subject to a document production request or subpoena if a lawsuit should arise. Once you have left the scene and had a doctor check out your injuries, give us a call. If someone else’s negligence caused your Fort Lauderdale car accident injuries, we may be able to help you recover the compensation you need. Schedule your free consultation with the Law Firm of Anidjar & Levine today: 800-747-3733.